The international expansion of Saddlebox remains unstoppable! In a year where Russia has been on everyone's lips in the wake of the World Cup, in Saddlebox we did not want to miss the opportunity to bring our customisable tack boxes to a country that has 614 riders in its federation and hosts 130 equestrian events every year. Hand in hand with the equestrian products Prokoni, our tack lockers will be available through their stores in their Single, Double and Olympic models. Founded in 2007, Prokoni has four stores in Moscow, one in Rostov-on-Don and another in Nizhny Novgorod, in addition to its online store. Prokoni stands out for its wide variety of products for the horses and riders which are catered with a wide range top brands and high quality products. 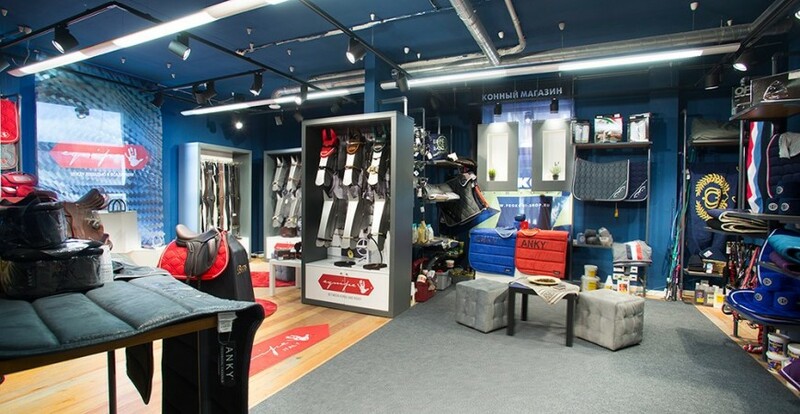 Leading the business, Olga Vasenkova has done an excellent job developing the Prokoni online branch with the aim of becoming the leading Russian equestrian products store. We recommend that you take a look at their tastefully fed Instagram profile where, among many other temptations, you can see the customised tack locker we manufactured for them. For all our customers in Russia, do not forget to visit the Prokoni website or enter any of its stores from 11:00 to 20:00 to receive the best professional advice! Will Brexit affect the transport of horses between the UK and the EU?